Pigtek were awarded a contract in January 2003 by Esso Petroleum Company Ltd to provide pigs and pig tracking services on five 4in. Jetline pipelines. 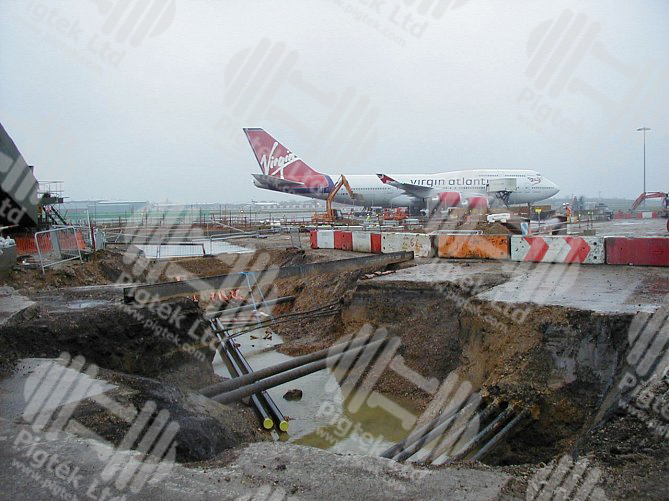 The pipelines required diversion works to enable civil engineering to continue as part of the Terminal 5 construction project at Heathrow International Airport. This required the pipelines to be de-commissioned using nitrogen and a 4in. Bi-Directional pig to evacuate product from the lines. 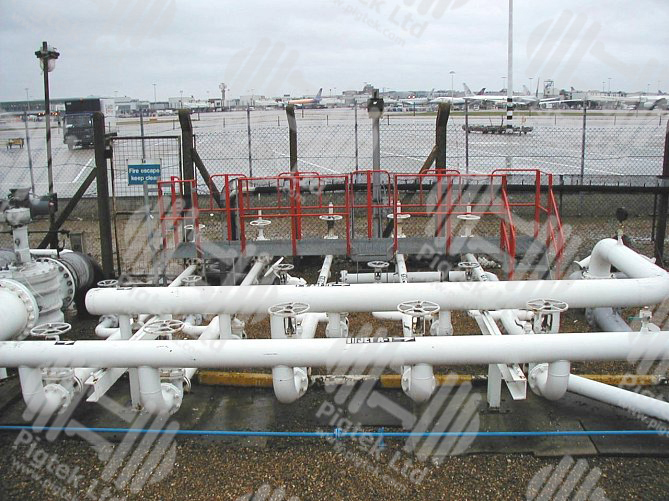 It was essential that a highly efficient product seep was achieved by the pigs in order to provide a safe, hydrocarbon free environment within the pipeline to enable the diversion works to commence. Once the works were completed, the lines were re-commissioned, again using the Bi-Directional pig, which was pushed with product to displace any residual nitrogen. Pigtek Above Ground Magnetic Pig Tracking Equipment was utilised to confirm that the pigs had been launched and received successfully. The pigs were also tracked at an intermediate site, mid-way along the pipeline route to monitor progress and velocity. Pigtek Ltd supplied 4in. Bi-Directional Pigs, which were fitted with a combination of sealing discs and guide discs. The thinner, flexible sealing discs ensured a good seal against the internal pipewall and provided the pigs with ability to traverse the pipeline. The thicker, more rigid guide discs supported the pig centrally in the pipeline and provided light cleaning by scraping the internal pipewall. 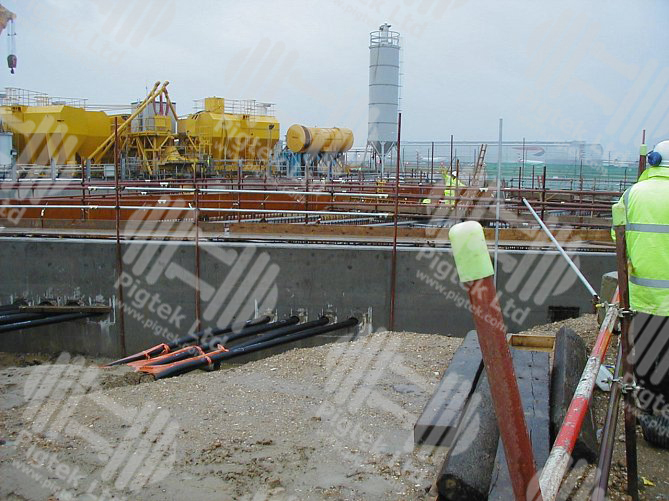 The pig body consisted of a threaded carbon steel tube with internal permanent magnets to provide a strong magnetic field, capable of activating the Pigtek Above Ground Magnetic Pig Tracking Equipment. All pipelines were cleared and re-commissioned successfully first time, which enabled all diversion works to be completed safely in a hydrocarbon free environment and without delay.